The Woman’s Society annual yard sale is right around the corner. The date this year is Saturday, May 26. As usual, it runs from 8 a.m. to 1 p.m. It is a major event in the calendar of the Meeting and Woman’s Society. It takes the whole meeting to pitch in and work together to make this event the success it always is. A signup sheet for volunteers will be hung closer to the date. Donations will be gratefully accepted beginning Sunday, May 13. 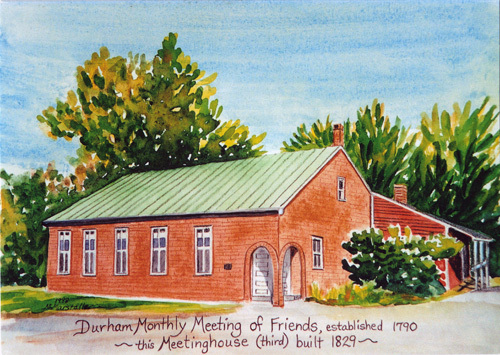 We have a large gathering at the Meetinghouse on Saturday, May 12, and there just won’t be room for donations until Sunday. It is now time to think about clearing out those knick-knacks that have been stored away … or, perhaps, still usable items from the children’s array of playthings, or from the utensil drawer of the kitchen. Books and other media are welcome. exception: We cannot stress enough, please do not donate things that are not smaller than a small microwave. This year we are putting out the word more than ever before. This means, among other things, no furniture. We cannot take microwaves either. Most, if not all, of them are still on the table at the end of the day. This policy and notice have been made stronger because large items have been donated despite our annual request. This yard sale is primarily organized and run by the female members of the Meeting who have difficulty handling large items. Often, Women’s Society gets charged a disposal fee to get rid of large items which decreases revenue raised by this yard sale. If people with donations have any questions or concerns about this, please see a Woman’s Society Member.